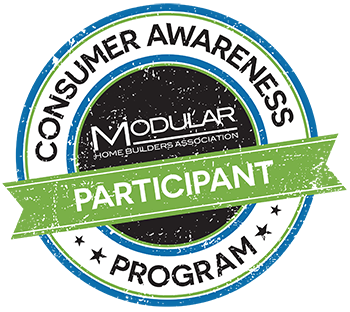 MHBA launched the Consumer Awareness Program (CAP) to better educate potential new home buyers. MHBA manufacturer members voluntarily agree to add $10 per module onto each newly constructed home and we dedicate those funds to marketing the modular home industry. This small increase of revenue provides MHBA with funds to effectively reach thousands of potential new modular homebuyers. 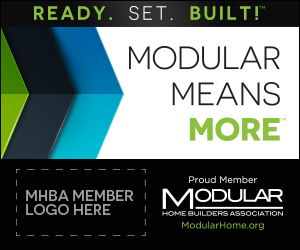 MHBA focuses on educating new homebuyers about the advantages of building a modular home and providing them with access to a vast amount of resources that will showcase MHBA members extensive experience in the industry. Through MHBA, homebuyers will gain access to sample floorplans, be able to find a local builder, and will even be able to request an estimate for their dream home. CAP participants benefit from having their homes highlighted in the gallery, having their logo placed on the homepage, and receiving the latest marketing materials from CAP! The marketing materials below are for MHBA members that are participating in the CAP program. The web banners and flyer are downloadable and can be edited by adding your company logo and/or a modular home photo.